Add another sustainable fuels company to the list of prospective tenants for Port Westward. Doug Hayes, executive director of the Port of St. Helens, confirmed Tuesday that the agency has re-ignited discussions with Next Energy, a company that produces diesel fuel made from cooking oil. "They actually came and looked at Port Westward about seven years ago, but we weren't far enough along on the Port Westward [rezone]," Hayes noted. "They're interested in bringing a renewable diesel." It's a product that is similar to biodiesel, but differs in the production process and is more compatible with traditional diesel engines. While an attempt to rezone farmland for an expansion of the existing Port Westward Industrial Park in Clatskanie remains held up in appeals, the port continues to court new businesses looking for industrial property for new production, transfer or storage sites. Port officials say regardless of whether all 837 acres of farmland are approved for industrial use, the port could always apply to rezone smaller swaths of property, as needed. Last month, the port reported a Canadian biofuels company, called Enerkem, was also looking to Port Westward for a new site. Hayes said if Next Energy does decide to move forward, it doesn't eliminate the possibility of Enerkem. "It doesn't push them out at all," Hayes said, but noted it could be years before Enerkem makes a move on Port Westward. Next Energy is looking for a more rapid development timeline. Materials provided to the port indicate the company is poised to make a $750 million capital investment. The company hopes to have a new fuel production plant up and running by the first quarter of 2021, Hayes noted. "I talked with the CEO," Hayes said Tuesday. "He actually came and visited me last week. They are extremely interested. They want to bring about 143 jobs." Those "average wage" jobs would have an average salary of $85,000, according to Hayes. Port Commissioner Larry Ericksen said the port's potential business deals with renewable fuel companies align the agency with district residents' goals of investing in sustainable energy and creating good jobs. 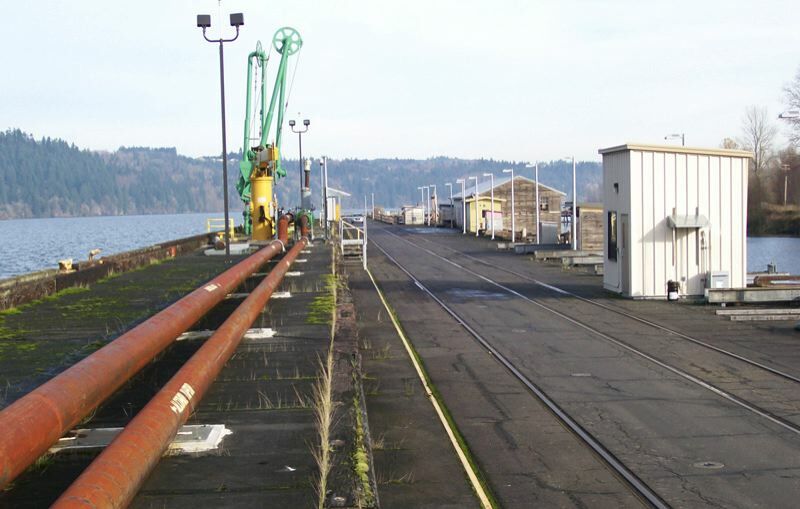 "I think it's true that the port has made a concerted effort over the last few years to confer with the district residents ... about what would be a good fit out there," Ericksen said by phone Tuesday. "I think it does make sense to seek out companies who have a goal to solve those [fossil fuel] problems."